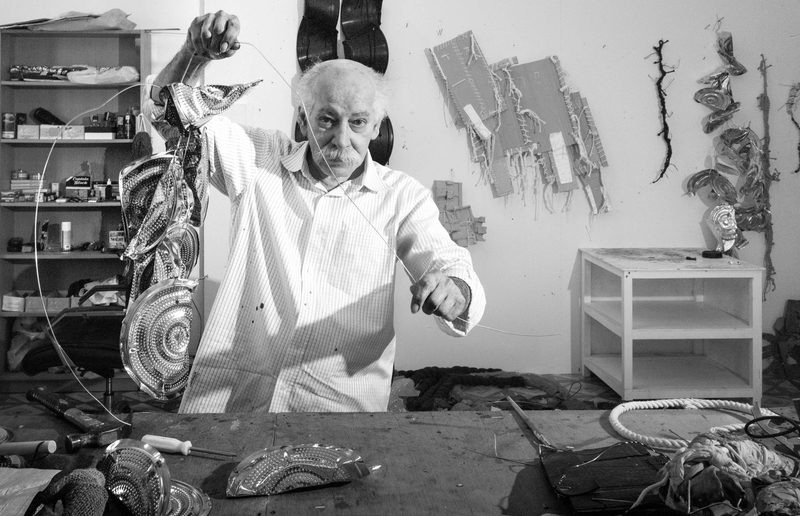 A pioneer of conceptual art and experimental practice in the Middle East, Hassan Sharif explored form, time, social action and mathematical systems throughout his career. Moving between roles as artist, educator, critic and writer, Sharif worked to encourage the engagement of local audiences with contemporary art through his Arabic translations of historical art texts and manifestos. 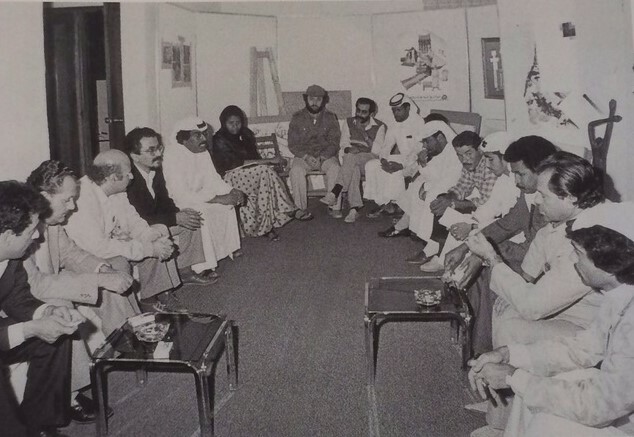 He was a founder of The Flying House, Dubai (2007); Art Atelier, Youth Theatre and Arts, Dubai (1987); Al Mureijah Art Atelier, Sharjah (1984) and Emirates Fine Arts Society, Sharjah (1980). All these organisations support interdisciplinary approaches to contemporary art in the Emirates through mentorship and exhibition. Solo exhibitions of his work include Hassan Sharif: Objects and Files, Mathaf: Arab Museum of Modern Art, Doha (2016); Hassan Sharif; Experiments & Objects 1979—2011, Qasr Al Hosn, Abu Dhabi (2011) and Hassan Sharif, Sharjah Art Museum (2007). His work has also been shown in the group exhibitions The Creative Act: Performance - Process - Presence, Guggenheim Abu Dhabi (2017); But We Cannot See Them: Tracing a UAE Art Community 1988—2008, New York University Abu Dhabi (2017); Is Old Gold?, Dubai Community Theatre and Arts Centre (2017); do it بالعربي, Sharjah Art Foundation (2016); 1980—Today: Exhibitions in the United Arab Emirates, UAE Pavilion, 56th Venice Biennale (2015); Adventures of the Black Square, Whitechapel Gallery, London (2015); Artevida (Corpo), Museu de Arte Moderna do Rio de Janeiro (2014); Une Histoire: Art, Architecture and Design from the 1980s to the Present, Centre Georges Pompidou, Paris (2014); Here and Elsewhere, New Museum, New York (2014); 18th Biennale of Sydney (2012); Systems and Patterns, International Centre of Graphic Arts, Ljubljana, Slovenia (2012); Interventions, Mathaf: Arab Museum of Modern Art, Doha (2010); ADACH Platform for Visual Arts, 53rd Venice Biennale (2009); Language of the Desert, Kunstmuseum, Bonn, Germany (2005); 5 UAE, Ludwig Forum for International Art, Aachen, Germany (2002) and The Contemporary Arts of the Arab World, Darat Al Funun, Amman (2000). 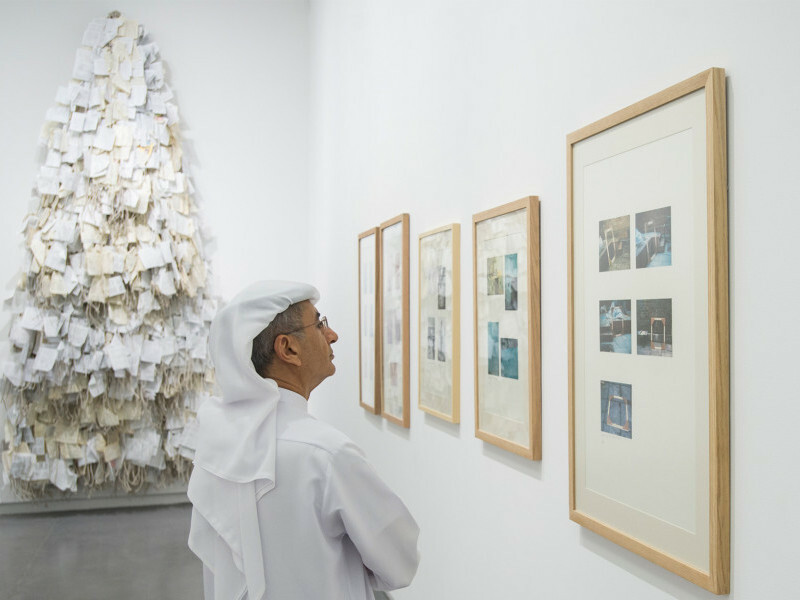 Since 1993, Sharif’s work has also been exhibited in eight Sharjah Biennials, most recently in Sharjah Biennial 12 (2015). His work is part of the collections at M+, Hong Kong; Centre Georges Pompidou, Paris; Fondation Louis Vuitton, Paris; Mathaf: Arab Museum of Modern Art, Doha; Guggenheim Abu Dhabi; Sharjah Art Museum and Barjeel Art Foundation, Sharjah. 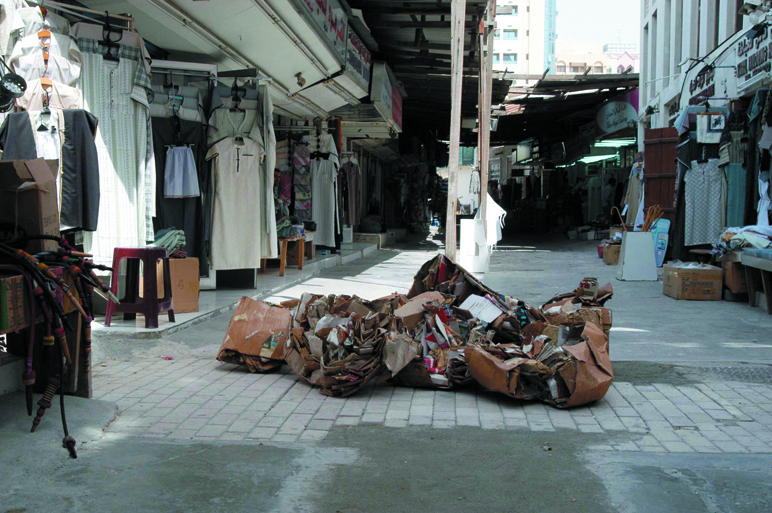 Sharif graduated from the Byam Shaw School of Art, London (1984) and returned to the UAE, where he began staging interventions and exhibitions of contemporary art in Sharjah. He was born in 1951 in Dubai, where he lived and worked until his death in 2016.